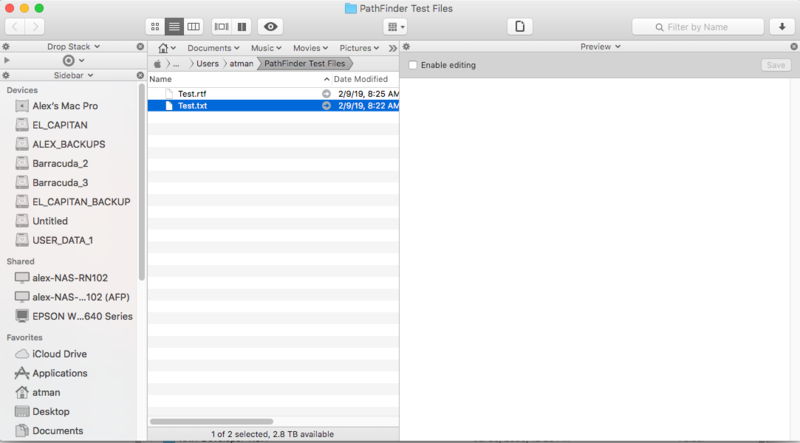 Preview of .txt and .rtf files does not work in the current versions of PathFinder. No text is displayed in the preview pane. My Mac Pro 3,1 is running the latest OS version that Apple supports on it (10.11.6). Being a customer for almost two decades and having paid to upgrade from version 7 to 8, I am very disappointed in CocoaTech's suggestion that I revert to version 7 in order to have such a basic functionality such as file preview work. 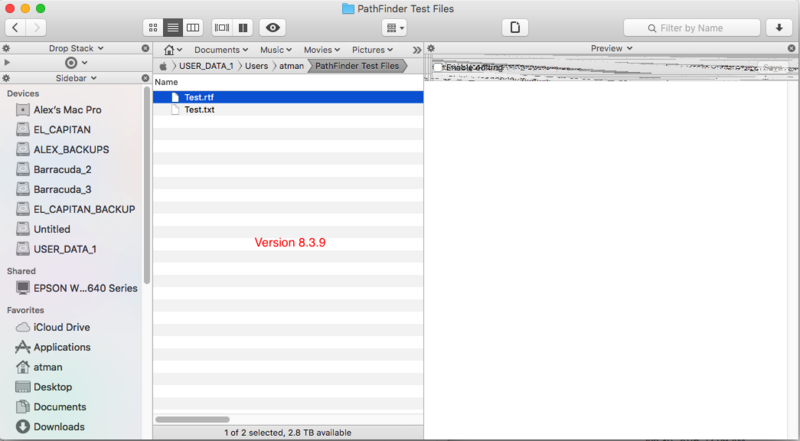 NOTE: I was able to locate an older version 8.1 where preview works properly. 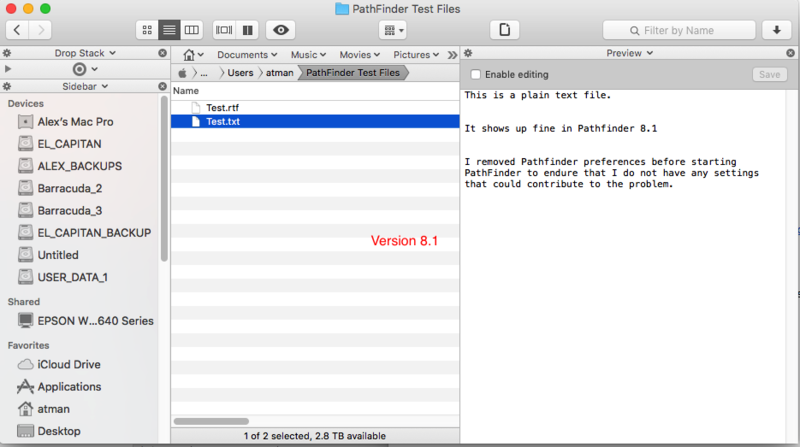 Unfortunately, I am unable to use or recommend the current version of PathFinder anymore. We've received no other reports of this issue. Do you think you use an app that could cause this? For example, some kind of third-party text editor. 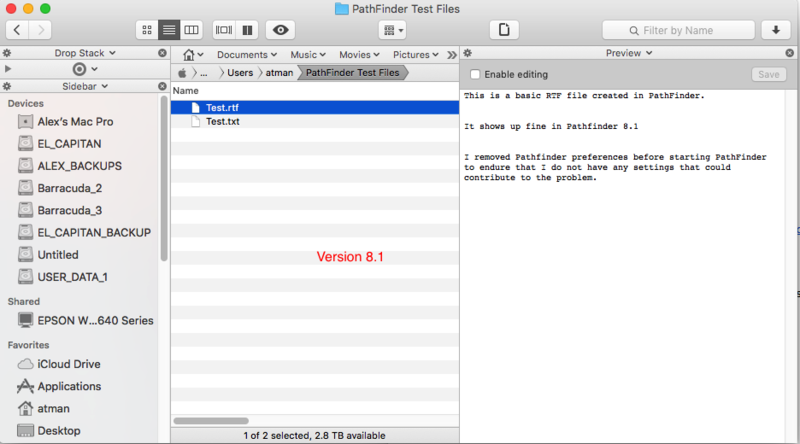 Path Finder Support Team closed this discussion on 09 Feb, 2019 11:23 AM. 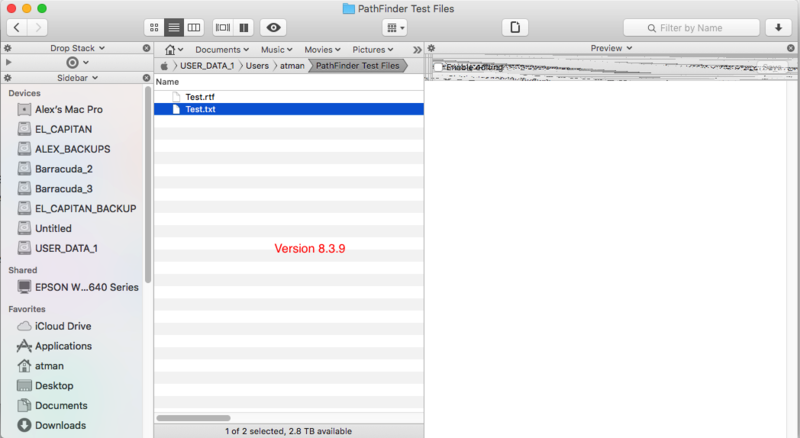 text and rtf files works in version 8.1 but not in version 8.3.9.
just to make sure I did not have something set wrong in preferences. Please have a look at the attached screen shots. Have you tried removing preferences files using App Cleaner? Path Finder Support Team closed this discussion on 10 Feb, 2019 09:01 AM. I'm unable to reproduce the issue so far. 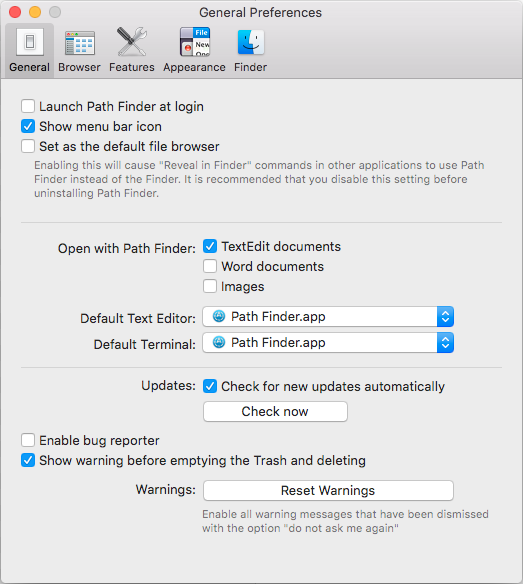 What's your default text editor under Path Finder > Preferences > General? Path Finder Support Team closed this discussion on 13 Feb, 2019 08:29 AM. unable to preview .txt and .rtf files. Just a reminder. This particular issue does not exist in version 8.1. Something has changed in the 8.3.x versions. The problem here is that we were unable to reproduce this issue on our side. Also, no reports from other users. Do you think any of the apps you are using could cause this? Also, does the issue persist under Guest user? Path Finder Support Team closed this discussion on 15 Feb, 2019 08:10 AM.